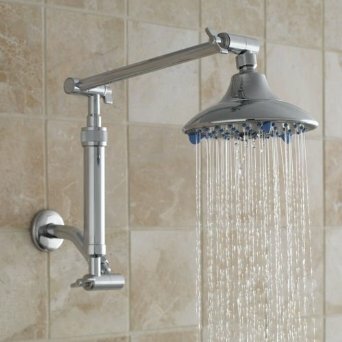 This unbiased consumer guide helps you choose the best waterfall shower head or wall-mounted panel shower for the ultimate in a satisfying, massaging shower experience. Today’s shower systems offer many ways to get wet. The most popular is still a fixed shower head installed about 78 inches off the floor and angled to spray at shoulder height. A more versatile option is a hand shower on a slide bar, which can accommodate bathers of different heights. But those are just the beginning of available options for showers. 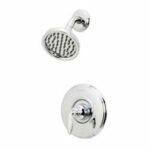 Here we look at two of the most popular options in specialty showers: waterfall shower heads and panel showers. Waterfall shower head offers a satisfying cascade of water. An overhead waterfall shower head mounted in the ceiling provides a drenching effect, and can supplement a basic shower head. Look for a shower head that has holes in the center as well as around the perimeter for the best spray pattern. Waterfall shower heads are also available in wall-mount styles to replace conventional shower heads, as shown in the photo at right. Some shower heads have a range of settings that will let you select the water flow you prefer, from fine spray to coarse, as well as different pulsation levels for a water massage. 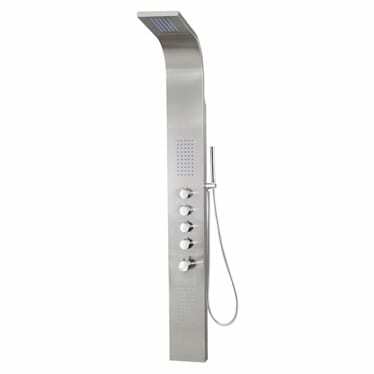 Waterfall shower head combines with massaging panel and handheld head for the ultimate in a shower experience. Wall-mounted spray jets can be combined with an overhead system to create a whole-body panel shower. These “surround” designs have controls that let you use just a few jets at once, and individual volume controls for each bank of two or three jets. At the high end of the price spectrum, they can cost $300 or more. Be sure that the highest jets can be turned off separately so that they won’t spray short people in the face. You’ll also need a shutoff valve so you can take an ordinary shower if you want to. If you’re planning a very elaborate shower installation that involves installing several different shower heads, be aware that it can be tricky to coordinate multiple water sources. You may find it worthwhile to have your system professionally designed so you won’t be plagued by temperature and pressure fluctuations. A shower system’s command center is the control valve. It turns the water on and off, adjusts the shower temperature, and controls how much water goes to the shower head and any side sprays. Its capacity determines how many spray options your system can include. A multispray shower can use 50 gallons of water in eight to ten minutes, so your water bill is likely to go up and you may need a second (or larger) water heater to meet the demand for longer or consecutive showers. 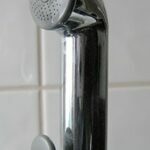 Many cities now require the use of low-flow shower heads in remodels; whether or not one is required, you may want to install this type to reduce your water bill. 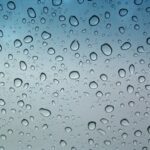 If you decide to buy a water-saving shower head, don’t try to cut costs: Inexpensive models often deliver a paltry drizzle that cools off as it falls. See more in the Low-Flow Shower Head Buying Guide.